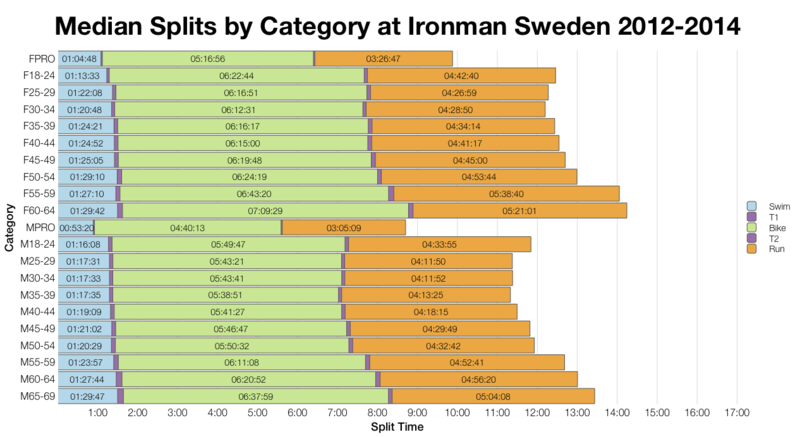 The weekend isn’t over and I’ve already got an Ironman to analyse – Ironman Kalmar in Sweden took place on Saturday. Now entering it’s fourth year Kalmar offers a flat course with potentially windy conditions. Those winds look to have played a role in this year’s race and the swim appears to have been particularly challenging. It is also worth noting that athletes in Kalmar face a shorter 16 hour cut off to complete the race. 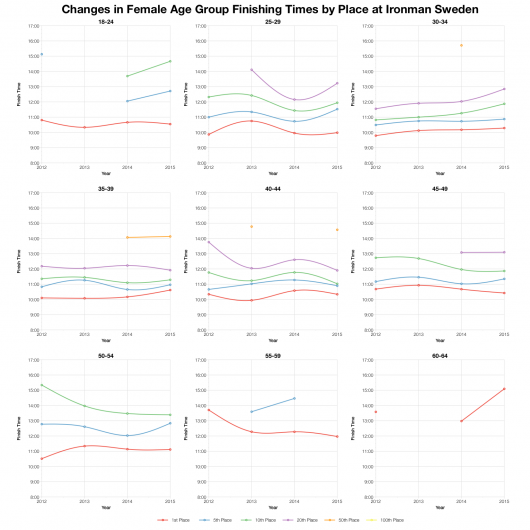 Although there’s some variation between age group medians, particularly for the women, the general trend is for slower times in the 2015 race. 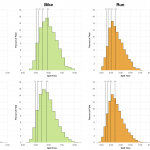 Swim and bike for the male pros is noticeably slower, while in contrast the female pros proved faster on average. 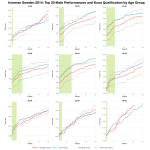 Generally pro performances are less affected by conditions than those of age groupers, so a small or even contrary shift in times is not that surprising. 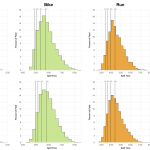 The distribution of finisher splits shows how much slower this year’s swim was. A marked shift sees the top 5% move from a sub-1:00 swim to a sub-1:05; clearly conditions were tougher. 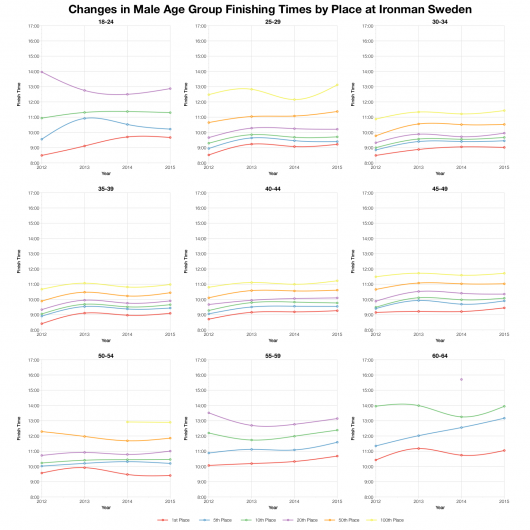 The swim is not alone in this change, bike and run also trend slower. 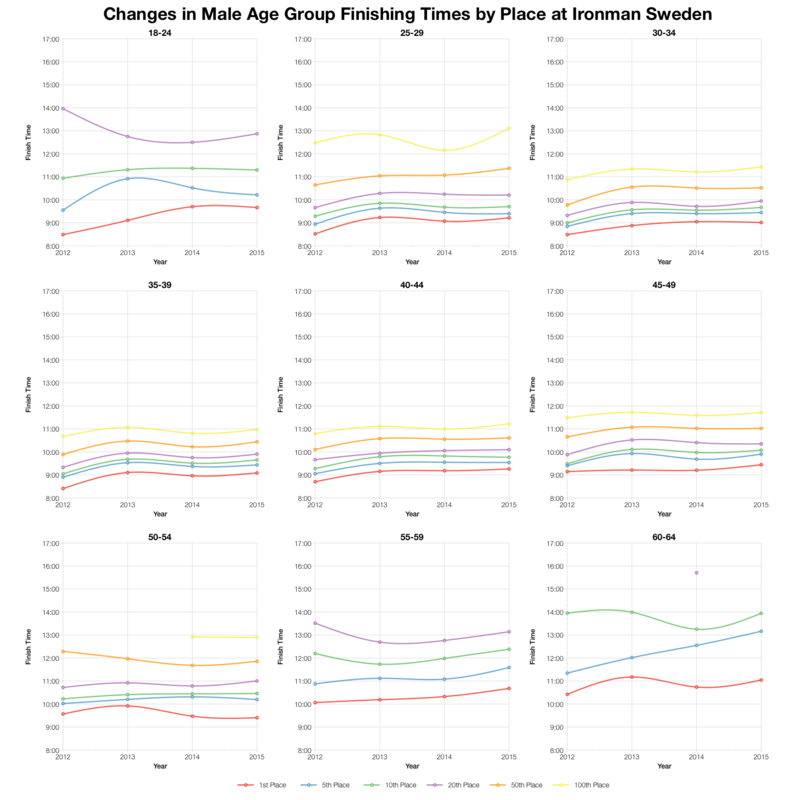 With all three stages shifted to the right so do overall finish times; this year’s race looking to be roughly 20 minutes slower than the previous average. 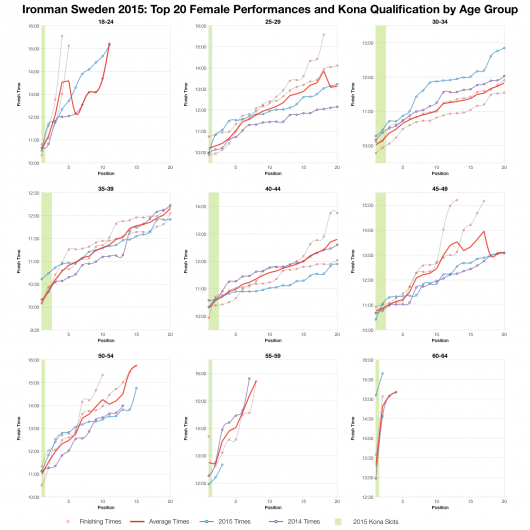 Comparing performance by position shows a small upturn for this years event with mostly slower times. 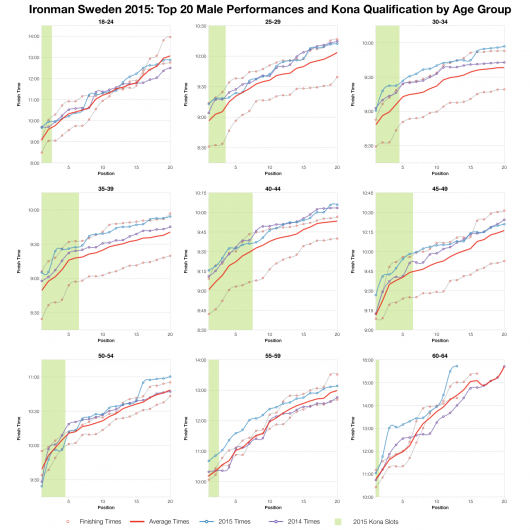 It’s also of note how the fast debut for Ironman Sweden stands out – in it’s first year conditions (and competitors) were perfect for the course. 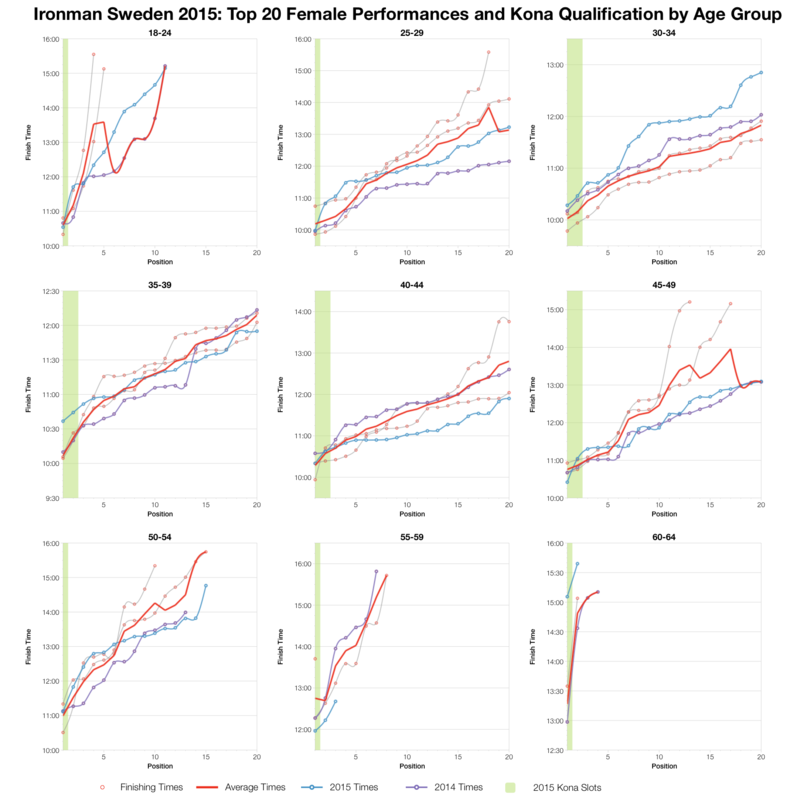 That said, all these changes are relatively small, there’s not been huge variation in performances on this course. Finally, looking closely at top twenty times for age groupers we don’t see a huge difference between this year and the last. In fact while it looks to be slower than the averages for many (noting that the first year of racing was particularly fast) it isn’t that far off. Conditions this year might have been a bit tougher, it does sound like the swim in particular was a challenge, but overall the race didn’t fall too far from expectations. 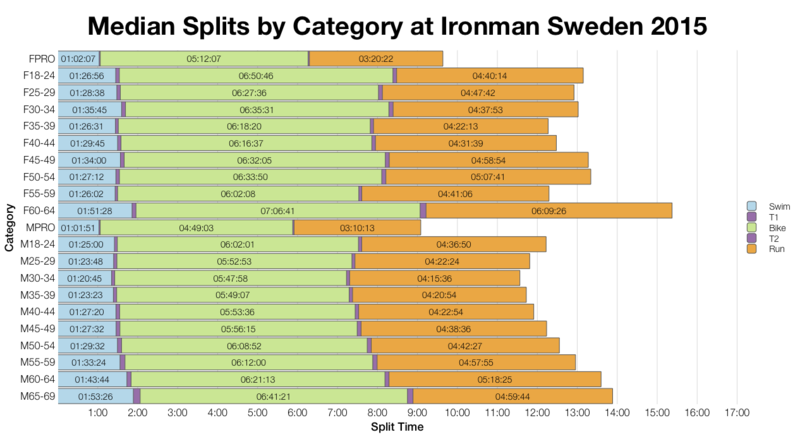 You can access a spreadsheet of the full results with splits from Ironman Sweden 2015 on my Goggle Drive.